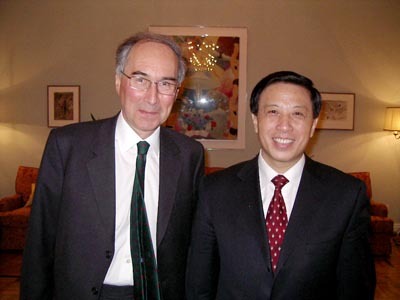 On March 28, 2007, Chinese Vice Foreign Minister Zhang Yesui was invited to a reception marking the 35th anniversary of ambassador-level diplomatic ties between China and the United Kingdom hosted by UK Ambassador to China William Ehrman. Both sides hailed the development of the China-UK ties and cooperation in various fields. They said the two countries will seize the current golden opportunities and boost the China-UK strategic partnership.